you can check the rest of my choices at Deluxshionist Shop. 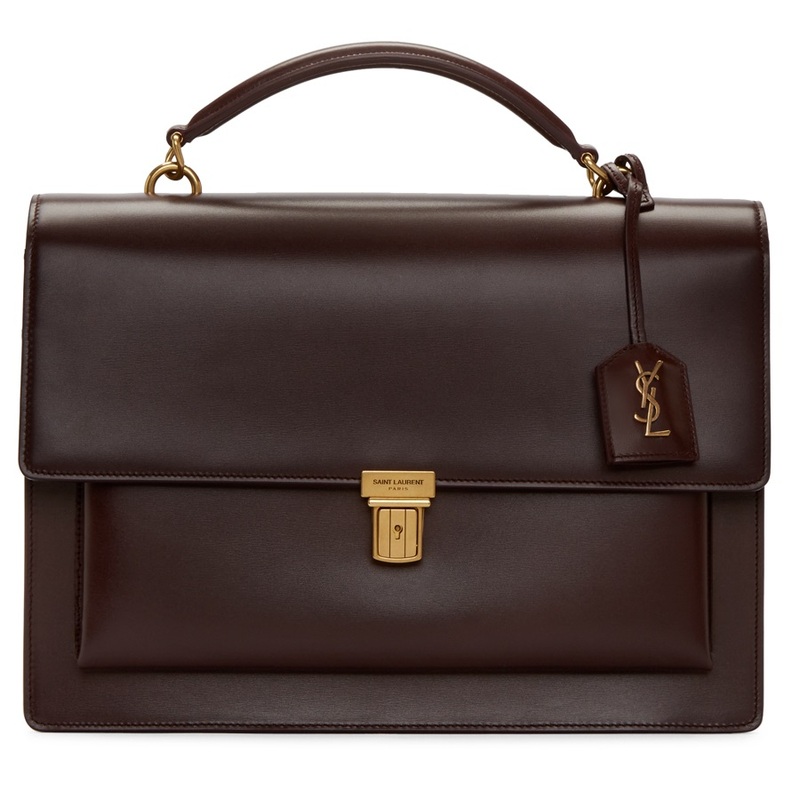 Structured buffed vegetable-tanned leather satchel in 'Bordeaux' burgundy. Carry handle at top. Covered key on detachable leather lanyard at handle base. Detachable and adjustable shoulder strap with pin-buckle fastening. Logo stamps in gold-tone and patch pocket at face. Foldover flap with locking slide-tab fastening. Patch pocket at two-compartment interior. Textile lining in black. Gold-tone hardware. Tonal stitching. Approx. 11.75" length x 8" height x 3.75" width. Leather. Made in Italy.